ChatOS offers a set of tools for sending mails to men. The search for interlocutors is quiet boring work, so why not to task this boring process for a machine? Extra commands. Propositions are requested how to develop this mechanism. Please, call us or text. 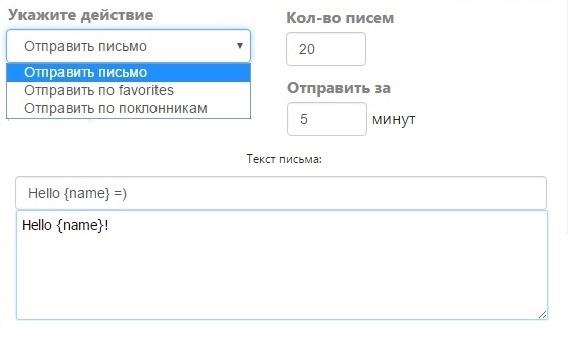 If you want to send a mail to men according to search criteria “Send a mail”, in this case you can specify criteria of a man search on the site with a help of section ‘Search parameters”. Just click on it and you will see a list of criteria for a man search on the site what are embedded in the extension.